Disclaimer: We are experienced paralegals, not miracle workers…although the two terms are often interchangeable (as those of you working in the legal world are well aware). We do not claim to perform miracles or to possess “top secret” information or secrets that are not known to the rest of the world. What we offer is steadfast advice [not legal, but personal, no UPL going on here], guidance, support, encouragement and camaraderie. Whether you’re a “newbie” or from the upper echelon of paralegal society, we would love to chat with you! Please feel free to leave a comment on the blog, send us a private e-mail or connect with us on LinkedIn. The Founder and Owner of The Paralegal Society™. Jamie currently works as a senior level Litigation Paralegal at the firm of Yosha Cook Shartzer & Tisch, located in Indianapolis, Indiana. She also writes a popular litigation column entitled “KNOW Business” for KNOW: The Magazine for Paralegals and is a Guest Blogger on The Estrin Report, which is the only paralegal blog featured on law.com. With an extensive legal background spanning more than fourteen years, Jamie Collins has gleaned an eye for detail and an extensive knowledge of legal processes and systems and how they can be streamlined for efficiency to positively impact a firm’s operation. As a paralegal who has worked for several high-profile trial lawyers, Jamie has honed her skills and quickly established a successful career path. She assists attorneys at Yosha Cook Shartzer & Tisch in effectively litigating personal injury and wrongful death cases from inception through trial. Jamie’s previous paralegal positions at Ramey & Hailey, Nice & Ledbetter and Riley DeBrota have allowed her to master all aspects of communication, case preparation, organization and legal writing. She has worked on a variety of diverse cases, ranging from those involving asbestos victims and the seriously injured throughout the State of Indiana, to complex class actions and multi-district litigation, including a case which sought to hold foreign individuals and entities accountable for the terrorist attacks on 9-11. Jamie possesses a wealth of experience in the areas of litigation, real estate, business law, asbestos, medical malpractice and employment law. She has a tremendous passion for trial work and actively assists with all aspects of witness preparation, jury selection and trial. She embraces her role as a liaison to her firm’s clients and is a dynamic, high-energy paralegal who thrives in a fast-paced atmosphere. As an advocate for paralegal education, Jamie sits on the Peer Review Board for the Institute for Paralegal Education and has authored several educational articles. She is actively involved in the paralegal community as a Voting Member of the Indiana Paralegal Association, a Member of the National Federation of Paralegal Associations and a contributor to several respectable online paralegal forums. As a seasoned professional, Jamie has worked as a paralegal subject-matter expert to provide valuable information and insights for the betterment of paralegal education. Mrs. Collins received her associate’s degree in Paralegal Studies from Ivy Tech Community College in 2003 and continues to further her educational endeavors in the pursuit of a bachelor’s degree in Business Administration, with a concentration in Management, from Marian University in Indianapolis, Indiana. Jamie enjoys volunteering her time to provide mentorship and shadowing opportunities for paralegals who are new to the legal profession. She founded The Paralegal Society to educate, motivate and inspire paralegals all across the country. Karen R. George, Florida Registered Paralegal lives in Miami, Florida. Karen is employed by the firm of Marcos, Rothman, Scharf, Valdes, Nguyen & Goldstein, P.A., as a senior litigation paralegal. Her legal experience goes back to 1976 where directly out of high school she applied for and was given the job of runner for a large firm; two years later took a legal secretarial course and began her legal secretary career, which she held for approximately 8 years. Karen then became the word processing supervisor for a large defense firm and in 1994, began working as a paralegal for the same firm. Karen has experience in personal injury on both defense plaintiff sides. She has experience in toxic tort litigation, airplane defense litigation, product liability defense in the areas of motor vehicle and wheel/tire litigation, and medical malpractice defense. She has also worked on high-profile criminal cases in Miami, Florida: McDuffy murder trial involving Miami Police officers; Miami River Cops case; Gold Bullion case as well as other criminal defense matters. Karen has held the Florida Registered Paralegal designation since 2008. She has volunteered as an instructor at Florida International University teaching both family and probate courses in preparation for the NALA certification. In teaching each course, she has given great emphasis to ethics and the pitfalls of the unlicensed practice of law. Karen is actively involved with paralegal professional associations locally, statewide and nationally. Karen has served on the board of the South Florida Paralegal Association (SFPA) as liaison to both The Florida Bar and National Federation of Paralegal Associations as Region III Representative. Karen is a member if the Dade County Bar Association and Founder of the Bar’s Florida Registered Paralegal Committee. She was the first paralegal to join the Dade County Bar Association and he is a member of the National Federation of Paralegal Association’s Ethics Committee. In addition to her activities with paralegal professional organizations, Karen holds a Certified Process Server Certificate for the Eleventh Judicial Circuit of Florida and holds the position of President of the Miami-Dade Association of Process Servers. Karen also holds the position of Chair of the Education Committee for the Miami Dade Legal Support Association. Karen held the position of Secretary and then President of her 884 town home homeowners association as well as the positions of Chair of the Architectural Control Committee and Hearing Panel (rules enforcement committee) of her homeowners’ association. Karen has given webinars for NBI on Pre-Litigation Procedures for paralegals and written various articles, which have been published in The Daily Business Review, The Bulletin and contributed to an article on paralegalism for Trials and Tribulations. Karen presently teaches hands-on paralegal to a recent paralegal graduate from the University of Miami. She is a Miami Native and speaks both, English and Spanish fluently. Jennifer MacDonnell is an experienced paralegal who resides in Torrance, California. She is employed by the law office of Kathleen D. Crane, Esq., as a Probate Paralegal. She has garnered extensive experience in the areas of Probate, Conservatorships, Post-death Trust Administration, and Estate Planning. Jennifer decided to become a paralegal after ending a long and prosperous career in the restaurant industry, which spanned more than twenty years. Although Jennifer had tremendous experience in the business world and enjoyed working in the restaurant industry, she felt drawn to the law and that is where she set her sights. In 2005, Jennifer decided to further her education by enrolling in the El Camino College Paralegal Studies program, an esteemed program approved by the American Bar Association. Jennifer simultaneously interned at the Law Office of Michael Botello, where she gained valuable work experience and developed a passion for estate planning. As a formal Legal Secretary for the Law Office of David E Simon, Jennifer garnered a solid legal foundation in the areas of Business Litigation, Contracts and Personal Injury law. Jennifer graduated from her paralegal program with honors in 2009, and continued her career as a Paralegal for the Law Office of Andrew M. Meinzer, where she maintained extensive conservatorship matters, further developed her skill set and honed her legal expertise. As an active member of the paralegal community, Jennifer continues to be heavily involved with the paralegal community of El Camino College. In fact, in 2008, Jennifer created and maintained the first El Camino College Paralegal Club in an effort to provide students with on-campus mentorship, in coordination with the El Camino College Program Director, Vi Pham, Esq. She created and maintained the first El Camino College Paralegal Club in an effort to provide students with on-campus mentorship and much needed support. As an experienced leader, Jennifer held the esteemed position of President for two terms, from 2008 to 2009. Jennifer is also an Associate Member of the Los Angeles Paralegal Association and Committee Member of the Los Angeles Paralegal Association, South Bay Section. Jennifer remains an active member of the El Camino College Paralegal Advisory Committee. She continues to provide valuable feedback and support for the ongoing development of the El Camino College studies program. She has a true passion for paralegal education and mentorship and is excited to embrace her role as a mentor and active contributor for The Paralegal Society™. Mariana Fradman is an experienced paralegal and resides in Brooklyn, New York. She is employed as a paralegal by Blank Rome LLP, New York, New York. She has extensive experience in Real Estate practice, concentrating in the areas of transactional real estate law, representing institutional, commercial, and developer clientele in connection with financing, acquisition, development, leasing, and disposition of various property types, including office, retail, industrial, and multi-family residential as well as condo, coops and single-family properties. Mariana also specializes in destressed debt and bankruptcy proceedings. Mariana and her family immigrated to the United States in January 1992. For two years, she worked odd jobs that underpaid her and provided no benefits or vacations, but she wanted more. So in 1994, she set out for her legal studies degree at NYC Technical College. While there, she volunteered both as a counselor at NYPIRG’s Small Claims Court Group and as a legal assistant in the Brooklyn Bar Association’s divorce and elder law clinics. There, she interviewed clients, contacted support agencies on clients’ behalf, drafted litigation documents and assisted senior citizens with governmental entitlement and estate matters. She was happy to be useful and helpful. In 1996, she was awarded with Associate in Applied Sciences degree in Legal Studies from NYC Technical College. Upon graduation, Mariana worked as a legal assistant in the Office of Goldberg Sager and Associates, providing support to two partners, working in matrimonial, trust and estates, and bankruptcy law. While working in the Office of Goldberg Sager and Associates, she decided to continue to pursue her studies and earned not only a Bachelor’s in Science degree in Legal Studies, but distinguished herself attaining: Phi Theta Kappa and Tau Phi Sigma National Honors Societies, and Deans List of Scholars from NYC Technical College in 1998. During her studies, she received The Brooklyn Bar Association Volunteer Layers Project’s Certificate of Appreciation, Alumni Achievement Award and West Legal Studies Award for Outstanding Scholastic Achievement. During her internship at Fried Frank LLP, Mariana showed her dedication and work ethics and, upon graduation, was offered a job in the Real Estate Department as a paralegal. Later, she decided to continue her education and graduated with a Master’s Degree in Business Administration from University of Phoenix in 2004. She also holds a Bachelor’s in Science and Masters in Engineering from Polytechnic University, Odessa, Ukraine. Mariana joined New York City Paralegal Association, Inc. (“NYCPA”) in November 2007 and became actively involved with the paralegal community. In March of 2008, she was invited to join NYCPA’s leadership team and was appointed Chairperson of the Mentor Program that she created. Mariana offers her support to students and entry-level paralegals, as well as paralegals in transition. In June 2008, she volunteered for NYCPA’s bi-weekly newsletter named “The Paralegal Buzz lately.” Mariana is the contributor and editor of the Paralegal Buzz. Mariana was elected as President of NYCPA in September 2009 and re-elected in May 2011. As a leader of NYCPA, she became a valuable part of New York City’s paralegal community. In addition to serving as President and Mentor Program Chairperson, she is a Member of the Advisory Board of the Institute of Paralegal Studies, SCPS, of New York University and Berkeley College. Mariana is a manager of NYCPA online forum on LinkedIn, contributes to many online paralegal forums and manages NYCPA’s website. As a seasoned professional, Mariana has presented at various continuing legal education seminars and ran Mentor Clinics for her association. 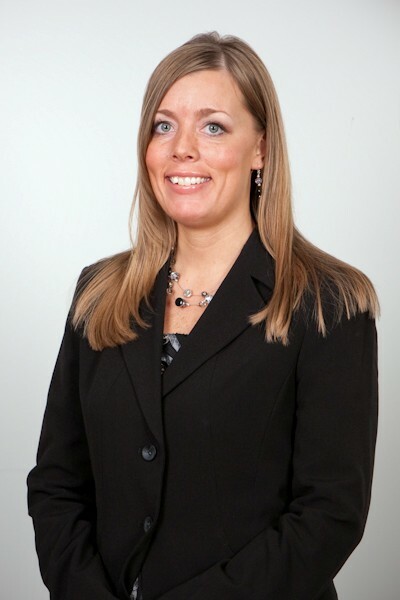 Kat Gordon is a professional senior corporate paralegal who resides in Plainfield, IL. Kat currently works for Broadwind Energy Inc. (NASDAQ:BWEN) in its Naperville, IL corporate headquarters as its Senior Paralegal & Contracts Administrator. Broadwind is a publicly traded supply chain company supporting the energy and infrastructure markets. Kat’s paralegal career began in college as the sole paralegal for Bourexis & Stainbrook where she was exposed to the whole gamut of a general practice-criminal law, domestic relations, estates and trusts, personal injury and real estate. After obtaining her Bachelor of Science in Paralegal Studies degree from Stevenson University (fka Villa Julie College) in May 1997, she began her career working in-house for a long-distance reseller where she was responsible for FCC tariffs in all 50 states; contract negotiation; internal audits; fund raising support; litigation and human resource investigations. After the telecommunications meltdown of the late 90’s, Kat then went to a non-profit trade association representing the airline industry concentrating on supporting attorneys in the litigation, drug enforcement and environment areas. Kat then spent her next two positions at the law firms of Margolis, Pritzker & Epstein, P.A. and Vorys Sater Seymour & Pease mainly supporting partners and senior associates in the practice areas of bankruptcy; domestic relations; real property; probate; medical malpractice and personal injury. It was during those positions that Kat was part of a trial team that successfully obtained $1 million dollar jury trial judgment for medical malpractice claim in Baltimore City, MD as well as being part of a trial team that successfully defended race discrimination case against a national restaurant chain in Prince Georges County, MD that resulted in no liability accessed against our client. For the past eight years, Kat has worked for two energy related start-ups CURRENT Group, LLC of Germantown, MD and Broadwind. In these positions, she has worked as a corporate generalist supporting the General Counsel in corporate governance, intellectual property, compliance, employment, contracts negotiation and management, securities, litigation management and business process issues. It was during those in-house positions in which Kat was part of a M&A team that raised over $500M in venture capital and four acquisitions at BPL start-up. While residing in the Washington, D.C. area, Kat implemented and managed a Paralegal Internship program with local paralegal programs to give paralegal students the opportunity to experience time in the life of a corporate paralegal. Since relocating to the Chicago, IL area, she has been attempting to set up a similar Paralegal Internship program to benefit paralegal students in the midwest region. In the meantime, Kat donates her time to the Court Appointed Special Advocates (“CASA”) in Will County, IL, the Habitat for Community of Will County, IL, Green Harvest Food Pantry and Hesed House. In addition to her duties as Director and Adjunct Professor at Georgetown Paralegal, Kelly acts as University Liaison and Project Manager for “Mom Congress”, an annual education advocacy conference sponsored by Parenting Magazine and Georgetown University School of Continuing Studies. Kelly also serves as a National Advisory Board member for the Michigan State University Alumni Association, and is currently pursuing her Master’s in Public Relations/Corporate Communications from Georgetown University. Before joining Georgetown, Kelly spent over 15 years in the DC legal community. Kelly was most recently the Professional Development Coordinator at Hogan & Hartson LLP, where she was responsible for coordinating the legal skills and knowledge-based training for over 1,100 attorneys worldwide. Prior to her role in legal training, Kelly was a highly regarded Senior Paralegal in the Corporate Finance and Business Law group at Hogan & Hartson, an Account Executive at CT Corporation System where she guided her DC, MD and DE account team to a top-ranked region in services revenue, and an Assistant Corporate Secretary of CarrAmerica Realty Corporation. Kelly began her legal career as a Legal Assistant with Hogan & Hartson LLP. She earned a Paralegal Certificate from The Philadelphia Institute for Paralegal Training and her BA from Michigan State University. If you would like to learn more about Georgetown University’s Paralegal Studies Program, Kelly is available to answer any questions you may have. As a TPS Ambassador, Kelly is also available to provide personal guidance, support and advice to paralegals, along with the rest of the TPS Mentors, so please feel free to reach out to her. Disclaimer: The opinions expressed on The Paralegal Society forum represent those of each Mentor and/or Ambassador and not those of the Mentor’s/Ambassador’s employer(s) and/or professional association(s). Any links to professional associations or other web pages on our forum are for convenience only, and as such, we do not endorse and have not been endorsed by such professional associations and/or web pages. Very professional in design with impressive qualities which capture one’s attention and desire to learn more about what the “Society” is all about. Thank you. We appreciate your kind feedback regarding our blog. We hope to make positive changes within the paralegal profession. Your comment is appreciated! As always, Jamie and Karen produce right-on point pertinent and valuable information for the paralegal community. Terrific blog! I’m going to recommend it to my readers at The Estrin Report. Chere, you are the mentor’s mentor! Thank you for your nice words. Jamie did all the work, all I had to do was show up! Thanks so much, Chere! That means a lot coming from you. We greatly appreciate you sharing the blog with your readers. We hope to inspire growth and positive changes for the profession. Any blog that starts with a disclaimer is worth reading…Disclaimer: We are experienced paralegals, not miracle workers…lol. I am looking forward to reading, ranting and contributing. It is going on my blogroll at Mobile War Room! Keith, we’re glad you’re on board for this endeavor! We look forward to your contributions, which we know will be insightful and offer tremendous value to our group of legal minds. Thanks, Lynne. We’re happy to join you on the blawgosphere. Keep up the great blogging on Practical Paralegalism!! I found your blog through Practical Paralegalism. I’m also signed up with your group on LinkedIn. I’m looking forward to reading the posts and networking with some great legal professionals and mentors. Thank you for this wonderful blog! 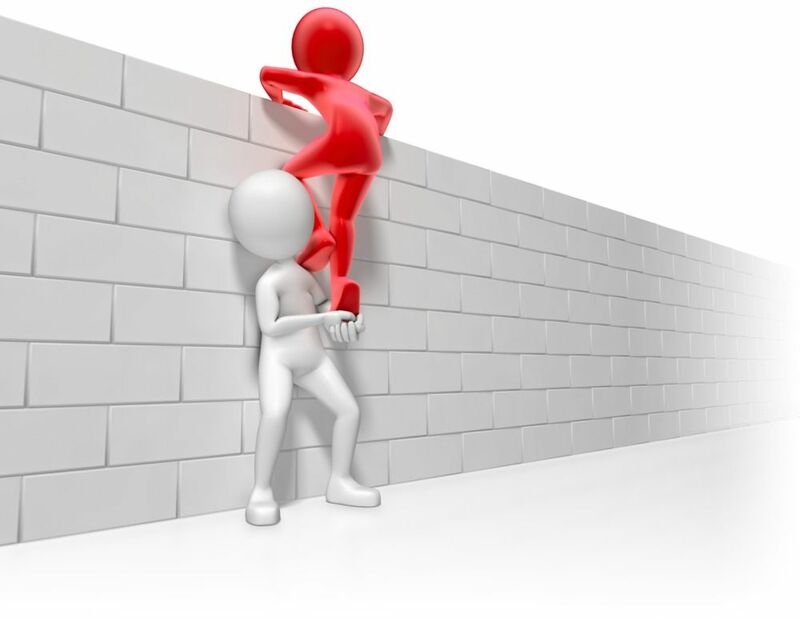 That it what we new paralegals needed: support, motivation, and infomation. My favorite part of this blog is of course “The Rant” ; it has wonderful and strategic articles. Also, “The Inspiration Arsenal” section is divine and enriched with tons of very inspiring quotes. l love it!!! Keep up with the superb job you are doing! Gjineta, thank you so much for your kind words. It’s good to know that my time spent stocking the “inspiration arsenal” and “the rant” pages in the evening hours isn’t spent in vain. Lord knows I don’t need any more cyber-hackings or traffic tickets, but on a positive note, it certainly does give me a lot of good material to draw from!! Thanks for reaching out to share your thoughts with us. We truly appreciate and value your feedback. All incredible powerhouses. I’m impressed by both the design and content. I look forward to keeping up with The Paralegal Society. Jessica, on behalf of myself and the other TPS mentors, I’d like to say a heart- felt and humble “thank you” for your incredible compliments regarding our team and TPS. Each day we find ourselves truly inspired by one another and so happy to be working on this endeavor together! We look forward to seeing you “around.” Don’t be a stranger!! I am very happy to have discovered your blog!! I have bookmarked it for quick referral. I can see that networking is absolutely crucial in this business. I finished my paralegal certification course at the University of Miami in June, followed by independent study (read: purchase text books and study on my own) in order to take the National Association of Legal Associates’ national paralegal certification test in September. Next stop…a job (I hope)!! P.S. I am open to – and would be grateful for – any suggestions from those who have walked before me! Well, good luck on your test, Rebecca. That’s terrific! Please feel free to connect with us (the mentors and Theresa) on Linkedin. We would love to get to know you better. Our LinkedIn group for TPS is also a valuable resource and a great place to ask questions and bounce ideas with fellow paralegals. We are always here if you have any questions. Please also feel free to offer your suggestions for future article topics. We consider this to be “your” blog — so let us know what you want to see on it! Thanks so much for taking the time to leave a comment…and for your flattering words regarding the TPS blog. We’re glad you found us and hope you’ll continue to follow us. Do let us know how you do on your test! Good luck!! Thank you so much for this site (I just found it yesterday), I thought I was the only drowning paralegal, it’s so nice to have some support in the real estate/corporate section working in retail food and the crazies of retail business, your stories are much appreciated. Thanks so much for your nice comment, Deborah. That’s exactly what we’re here for…your sanity…and ours! Please feel free to join our “social club” for The Paralegal Society on LinkedIn. It’s a very fun, friendly and interactive group where we share interesting articles and participate in various discussions. We hope to see you “around” TPS! Thanks for stopping by. Hello, I am very intrigued by this Society. I am a Paralegal in Hong Kong, and while we are still required in Law Firms, we don’t exactly have an association (which I hope it will change eventually). I’m very inspired by Ms. George and Ms. Gordon, as I practise mainly in Criminal Defence Litigation aside from Matrimonital and Probate matters. Best wishes and of prosperity to you all! CY, how nice of you. You are certainly covering a broad base of areas, Criminal Defense, Matrimonial (does the criminal defense slip into the matrimonial?) and hopefully not into probate! Since, as you say, law firms are “required” to have paralegals in Hong Kong – you absolutely should have an association! The first step is to get a group together, four of five people who are willing to donate their time and knowledge to the endeavor, set up some by-laws (I can certainly help you find some) and put together a non-profit business entity which is your association. You can then start promoting your association and charging membership fees which will be used for the advancement of education of the membership. Let me know if I can help you in any way. Welcome aboard the TPS train! Tell your friends to come join us and let’s learn together. Having just read, “every man becomes…” there is a saying in Spanish which I will translate here: “Tell me who you your friends are and I will tell you who you are.” Same concept. So glad I found your blog! I am hoping this blog will help with developing my career! Thanks you! We are looking forward to your questions and ready to assist! Welcome to TPS, Gen! Please feel free to comment or reach out anytime. We look forward to getting to know you better! Nice site will follow from WA. I’m studying for a Paralegal cert. online from EKU and have found that instructors sometimes aren’t very forward with providing resources to do well on an assignment and this is only my 3rd class. I’m currently stuck on how to fill out the Probate AOC forms for informal probate in KY. Can anyone point me to instructions or forms that have already been filled out? so I know what assets I should and shouldn’t include? And how to fill out a fiduciary bond form to waive surety? Thanks in advance. If you don’t mind, I would love for all of you to share your experiences as a Paralegal on Proffer.ca (http://proffer.ca/blog-posts/). It is a new website intended to provide a platform for new paralegal grads to gain experience (Starting with Canada). A guest post from you would be amazing! I am reconnecting with your blog a year later: ))) I have sooo many thoughts and questions. I still enjoy reading the posts!!! If only there were more mentors and opportunities for new grads….then perhaps more of us could see our professional dreams take flight!!!! I am planning on obtaining my National Certification and was wondering if anyone has insight as to which National Association is better both as far as membership and certification. I am planning on joining NALA and registering for their study program for the CLA exam. Any thoughts, ideas, recommendations are appreciated. Thank you. My name is Cherquira Whitley and I am a current student at the University of Maryland University College that is studying legal studies and Criminal Justice. It was not until two years ago that I decided to become a paralegal. I am proud that I made that decision. The paralegal profession is very diverse. I am very excited about my new career as a paralegal and I am two classes away from completing my paralegal certificate. Presently, I am seeking for opportunities that pertain to Criminal law procedure. I am starting with the House of Ruth. Are there any other suggestions to look for this type of work? In addition, I read each profile and I am very impressed with what I have read; and I hope to converse with you all in the near future. I am so happy to come across this blog. It is very inspirational and educational. I have my BA in Legal Studies from SUNY Purchase, NY. I have been working in the legal field for about 10 years now more so as a legal assistant/legal sec. I am now interested in Estates and Trusts paralegal work. Any advice would be greatly appreciated on how to do so! You ladies are really awesome and inspiring! Thank you all for creating and contributing to this blog. I look forward to reading more posts! I love that there are paralegals out here willing to mentor others. That there is a place to ask questions. When starting out there are so many questions to things that school don’t teach you that only experience in the field can. Hello, My name is Mercedes Kidd and am from San Antonio TX, I want to become a paralegal and hopefully one day become a lawyer. I just don’t know where to start. I have a bachelors degree in criminal justice. I just need to know do I need to go back to school and get an associates in paralegal studies or just a certificate. HELP PLEASE!!!! From my understanding most law firms are looking for a 4 year degree and experience. Some employers prefer that the potential paralegal has both ( a paralegal certificate and a bachelors degree plus at least 3 years of experience). Additionally, you should check paralegal job post. This will give you a listing of job qualifications. If you want experience, look for internships or volunteer work ( for example, volunteer work with CASA can give you some work experience). Overall, most employers want paralegal experience of at least 3 years, a bachelors degree, or a paralegal certificate. I’m sorry I keep asking questions but will my degree in criminal justice work or will I have to get one in paralegal Studies!? Hello, A bachelors degree will do, however you need experience. This is why I have emphasized that you should try internships, volunteer work and etc. Also, you should contact your school to see if they have any recommendations towards your career path. So…Where to begin? I am a Paralegal student. I cant find help anywhere else so figured I would give this a shot…If this isn’t a good place to ask this, then I completely understand. Thanks in advance to anyone who does respond. I have a research paper coming due in my Constitutional Law class. It is on the United States and Dual Sovereignty. It is suppose to have bibliography and more than 3 references/resources.I have been through the internet googling different variations on the words and can not figure out exactly how or what to write. I am in desperate need of ANY advice on where to look for answers for my paper! Hey, I just read your post.. Have you tried your school library or the law library. They should have plenty of resources that is relevant towards your research paper.